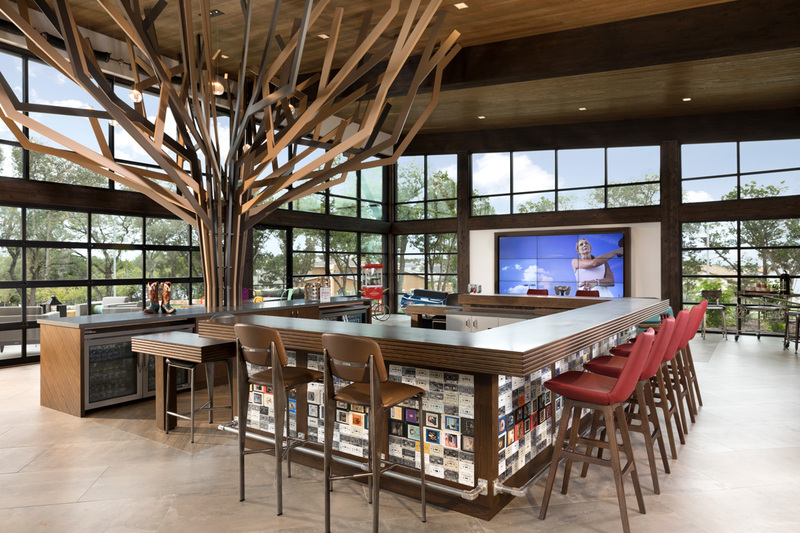 Named one of Forbes’ 25 Best Places to Retire three years in a row, San Marcos is the perfect place for living life on your own terms. There are cool rivers to float and fish, clear lakes for boating, amazing scenery and wildlife, and winding backcountry roads for exploring. Add in college sports and live music venues from Austin to Gruene Hall. And don’t even get us started on the barbecue. 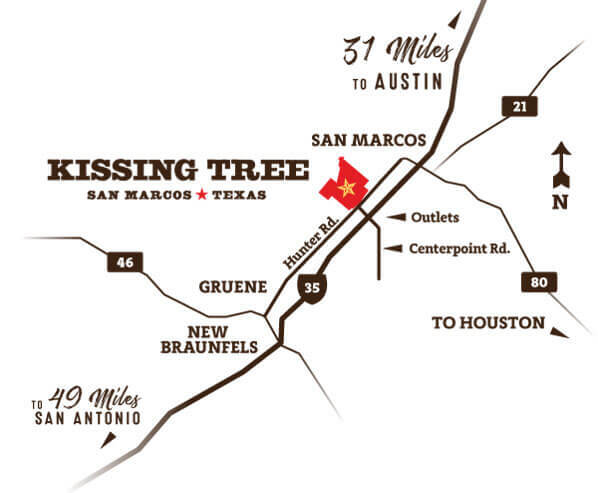 Kissing Tree is right on the cusp of the Texas people dream about, with dramatic vistas that stretch for miles. Limestone cliffs, breathtaking sunsets, cool rivers, local wineries and historic dancehalls are just a few of the things that make the Hill Country home sweet home. 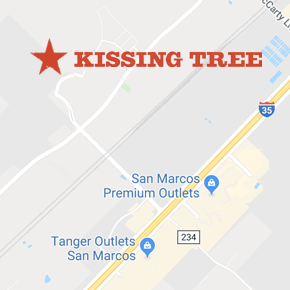 There’s lots to discover at Kissing Tree with a 20-acre amenity campus and 1,300 acres of future homesites. Start in the Welcome Center for the bird’s eye view of the project.